Mint and Honey has provided me with Shanti Tea’s Rest and Digest for the purposes of providing an honest review. I received a sample package of Rest and Digest by Shanti Tea from Mint and Honey. 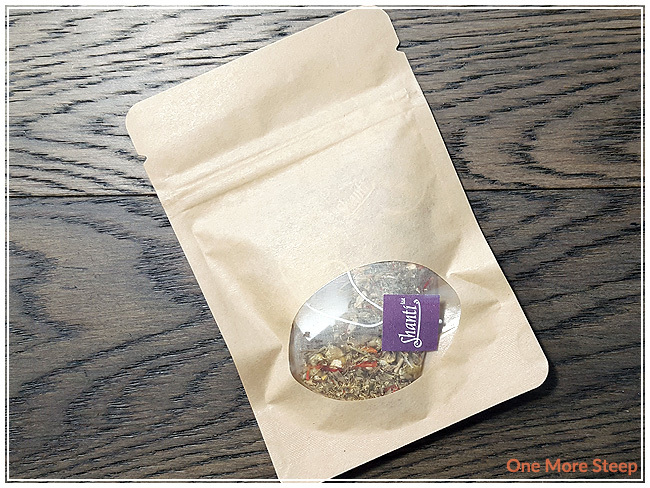 The pyramid tea sachets came to me in a resealable kraft paper pouch. 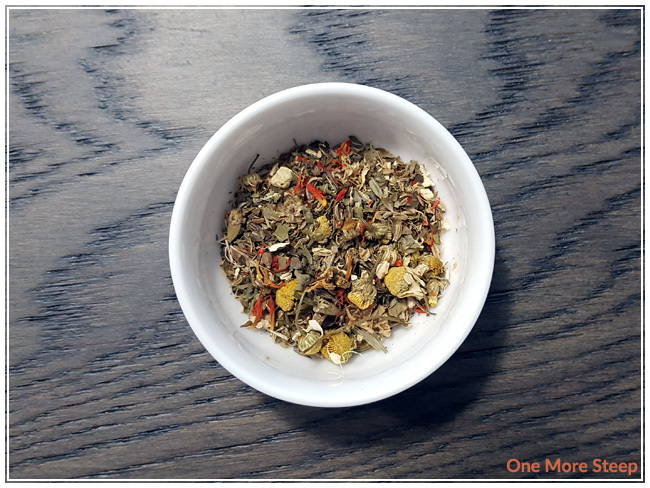 The aroma from the herbal infusion blend is primarily that of mint, although I can definitely see other ingredients in the blend – including the chamomile. 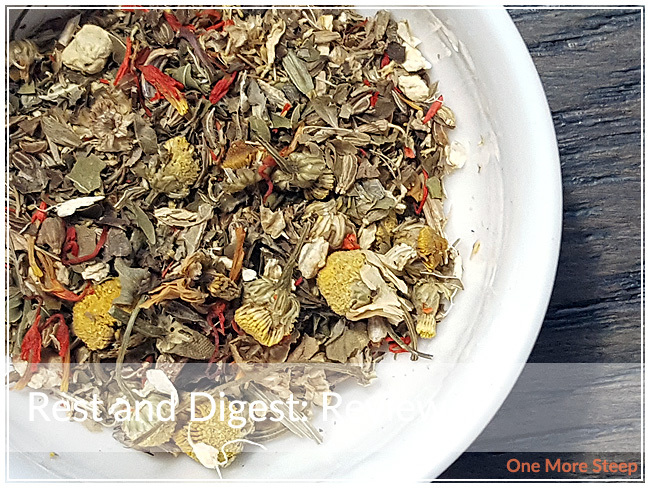 Rest and Digest does contain more than mint and chamomile though, this herbal blend consists of: chamomile, anise, fennel, lemon balm, ginger root, peppermint and safflower – all organic ingredients. Surprisingly, the ginger isn’t the most aromatic ingredient in this blend, I’m quite used to ginger being very much in the forefront of herbal blends when it’s in there, but this one is more subdued. I really have to concentrate in order to pick it out. Shanti Tea recommends steeping Rest and Digest in 100°C (212°F) water for 5 to 10 minutes. I opted to do an initial steep of 7 minutes. Rest and Digest steeps to a bright, golden yellow colour. The aroma from this herbal infusion is mostly that of the mint. 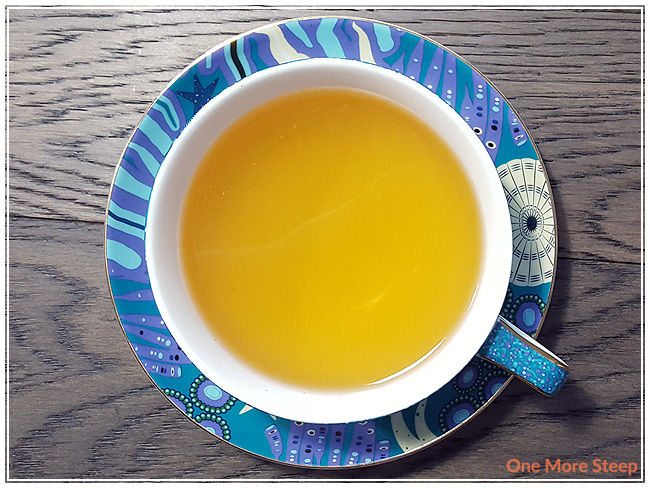 The flavour from the tisane is that of mint, with a slight heat from the ginger. There’s some light floral notes in it as well, with a nice sweetness to it, but I do find myself wishing that the chamomile was more present. There’s some cooling refreshness at the tail end of each sip from the mint with some warming sensation from the ginger. I resteeped Rest and Digest once, I found that flavour was okay. It was bit diluted compared to the initial steep, so I didn’t enjoy it as much as the initial steep. The warming flavours from the ginger weren’t just as present. I liked Shanti Tea’s Rest and Digest. 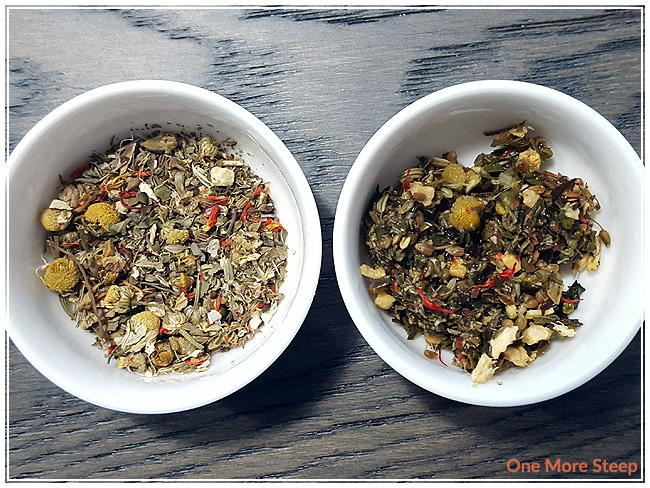 I really enjoyed the blend of flavours – the mint, ginger, and chamomile play off nicely together. I found that the initial steep of Rest and Digest was quite tasty and found the contrasting warming and cooling sensations in the flavour profile to be really enjoyable. I do wish it had done a bit better with being resteeped, but it is an herbal tisane so I’m not too surprised that it didn’t do well.